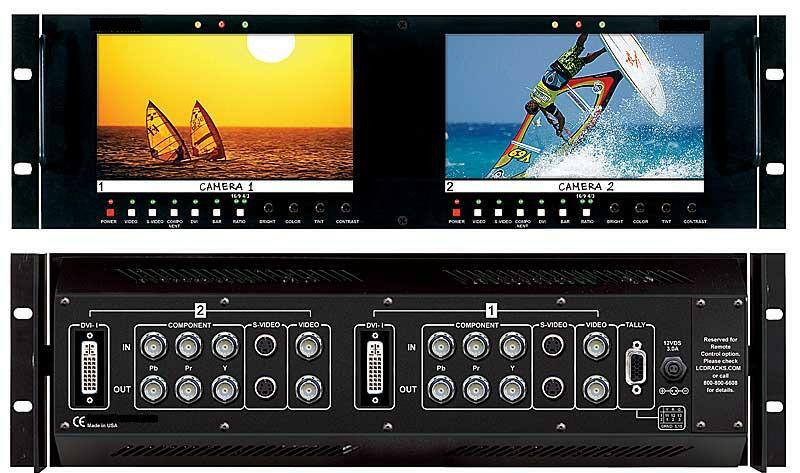 The Rack mounted and tiltable LCDR3U7-03-2HDA represents leading edge technology in LCD/TFT imaging for broadcast and professional video applications featuring High Resolution, megapixel, TFT screens with completely digital signal processing. 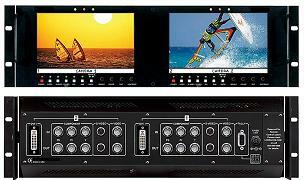 All SMPTE/ITU analog video standards and signal types plus DVI are accepted and displayed on each screen of this model. Analog signals are digitized using an advanced 10 bit process on each signal path with 4x over sampling and adaptive 5 line comb filter with exacting color space conversion. All video formats are scaled to fit on screen in the highest resolution using a state of the art LSI that incorporates 4x4 pixel interpolations with precision Gamma correction to produce the best images available.